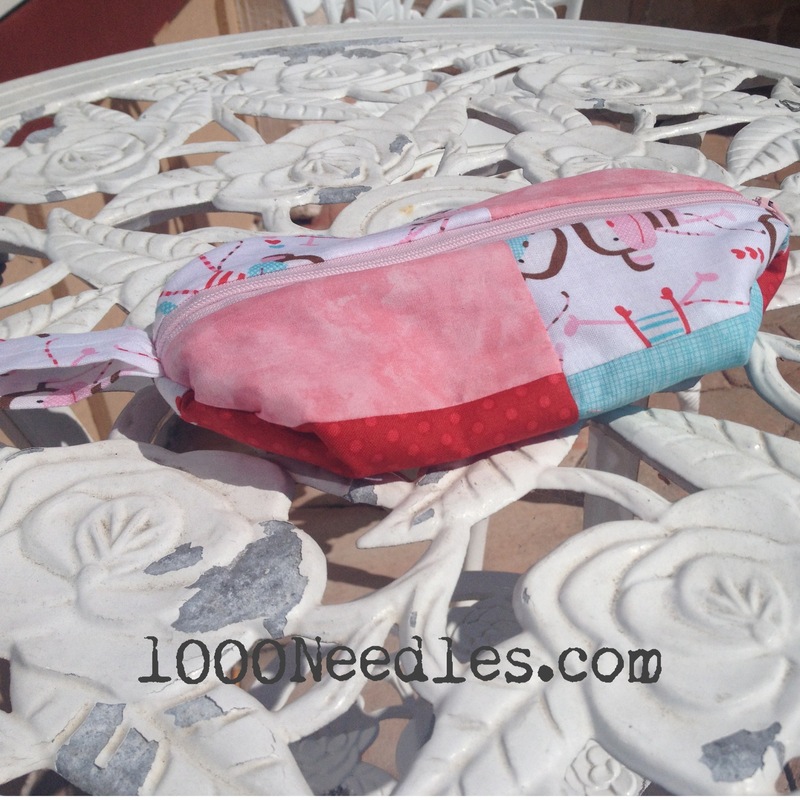 Last week I forgot to mention that I did put together this little make up bag/pencil case. So I can say that I used about half a yard. This is the kit I purchased in Anaheim to help get me started in making bags. Things went wrong somewhere when I was supposed to sew the corners in to make it boxy but it ended up flattening out the box. I’m going to try this project again and pay attention to where I sew that final spot. Other than that, nothing has been used. But I’ve got nothing added as well. I finished up Block 4 for Moon Glow and I love how it turned out. I actually started this block last weekend but wasn’t able to finish it until yesterday. I took a break from quilting Easy Street this weekend but will put it back on the machine tomorrow. I’ve got 10 blocks left to quilt and then the border. For April, my goal is to finish the quilting and then in May I’ll finish it up with the binding and the label. So with 10 days left until the end of April, I will need to do 1-2 blocks per day and then do the borders. I may put it in the machine later today to get a head start on it. 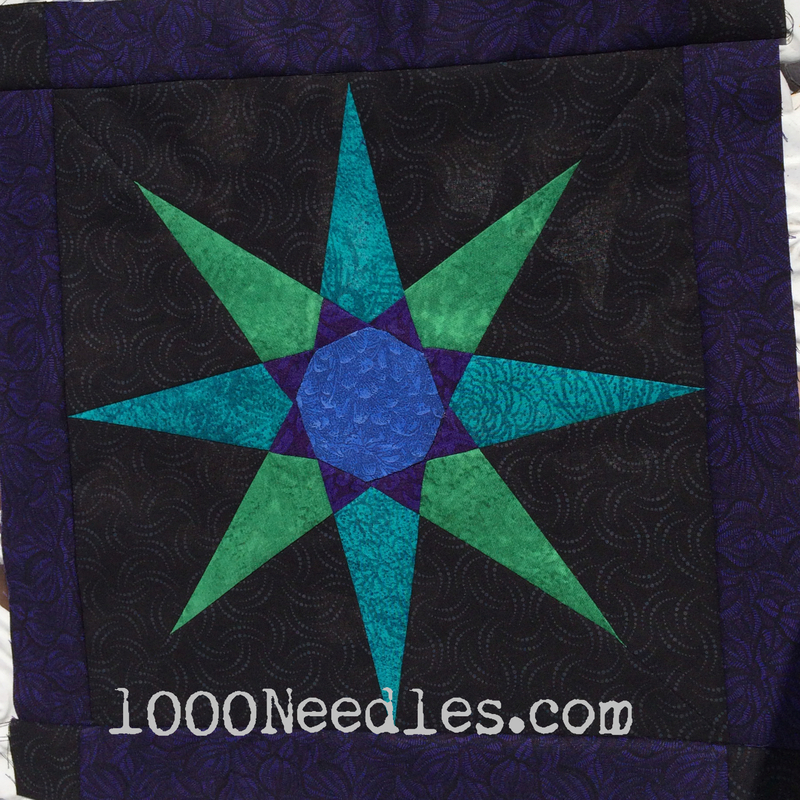 I’m not a fast quilter and I don’t like to spend a lot of time at one sitting. My machine doesn’t sit in a table, it’s just on a table so I get tired really fast. When we move back to LA, I’m planning to invest in a table. I’m not yet sure what kind of table as it will depend on the type of place (how big or small it is) we move into. But I’ll start checking out my options now. Bags/pouches are on my list to try this year. Happy Easter!